AMC have announced that their new and successful zombie apocalypse series The Walking Dead will be back for a second season with an order of 13 episodes. The news comes after the rapid success of the show that begun only a couple of weeks ago, after its profile was raised significantly by a mass participation publicity stunt known as ‘global zombie outbreak‘. 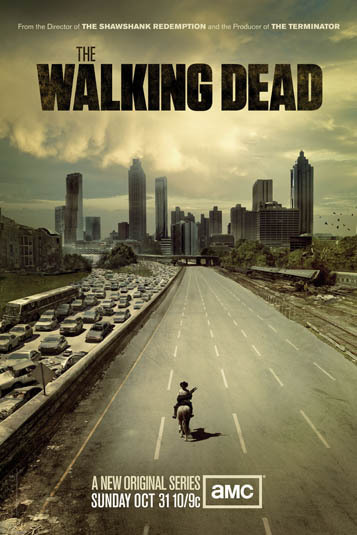 The renewal had been rumoured about and hinted at even before the show began, and after record-breaking channel viewing figures for the premiere on Halloween, with a total of 5.3 million, AMC confirmed that a second series is to be produced. As well as AMC, Fox International Channels (for global viewers) also have enjoyed good levels of success, after recording strong ratings in the 120 countries and territories worldwide that it was shown in. As well as an impressive and well-timed launch, the show has followed on from its debut with only an 11% decline in viewers for the less-hyped second episode. These numbers obviously contribute to the network’s decision, and the executive production team of Robert Kirkman (creator of original comic series), Frank Darabont (writer / director), Gale Anne Hurd and David Alpert will no doubt be delighted with their achievements. 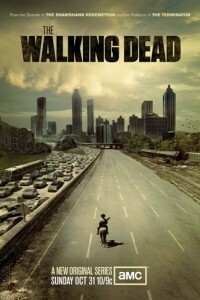 The current season of The Walking Dead, which lasts for 6 episodes, will conclude on the 5th of December. But as all zombie lovers know, you can never see enough brains get eaten.